I’m India Hayes, college librarian, starving artist, daughter of hippie activists, and sometimes amateur sleuth. As April nears its end and May quickly approaches, no amount of detective work will save me from my next assignment, the dread graduation ceremony. As a faculty-rank librarian at Martin College in Stripling, Ohio, I’ve been to my share of graduation ceremonies but not by choice. You see, the faculty is required to attend, and as much as I am proud of my students, the thought of attending yet another four-plus hour graduation ceremony is painful. I’ve heard every version of the commencement address that can be uttered. The orators all say the same thing—dream big, live long, save the world, all of which are nice sentiments. I’m sure some of my students will achieve all of these goals, but I wish they’d just shoot me an email when they accomplish world peace. I’d happily skip the graduation pep talk. To preserve my sanity, I always pack a Graduation Survival Kit. I have to say whoever invented academic regalia must have known that a survival kit would be necessary because there are plenty of places you can hide contraband in academic dress. Why do I need to hide it, you ask? Well, it’s not like I can march in the commencement procession carrying a backpack. My favorite places for smuggling are in the sleeves. Since I wear a Master’s Robe I have extra long sleeves that look like vulture wings. Off the end of each sleeve there is a two foot long fabric pouch that is empty and can serve perfectly as a huge pocket. This is where I hide my kit until the ceremony begins. 2) My cell phone, not to make any calls but to play games. Okay, I admit I’m addicted to Angry Birds. I’m considering seeking therapy to deal with this. 3) A pen and tiny sketchbook. I never know when an idea for a new painting will come to mind. 4) Tissues because I usually do sniffle when my favorite students walk across the stage. 5) And my car keys to make a clean getaway the moment the ceremony ends. I might be sharing a big academic secret here, but I’m not the only one who does this. Professors are notorious for grading finals during commencement ceremonies. They just tuck the pages to grade in their sleeves or in the lining of their robes, and they are good to go. So next time you attend a graduation, check out the faculty and see what they might have smuggled into the ceremony. At the very least, it will pass the time until the name of your loved one is called. 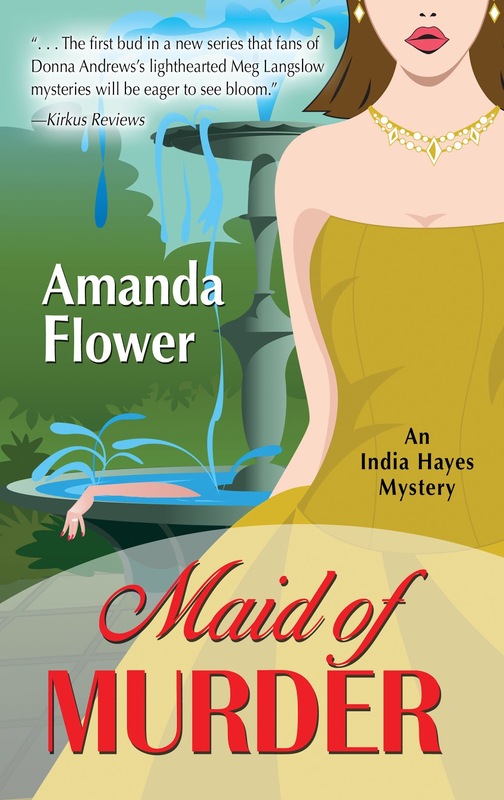 By-the-way if you’re interested in learning about my sometimes sleuthing, check out Maid of Murder by Amanda Flower. Amanda is a college librarian just like me and was kind enough to write up my cases, which are becoming disturbingly frequent. I’m an artist not a writer, so I was happy for her to do it. Maid of Murder is an Agatha Award Nominee for Best First Novel, and Amanda is headed to the Malice Domestic Convention in Maryland later this month. Amanda Flower writes the India Hayes Mystery Series. 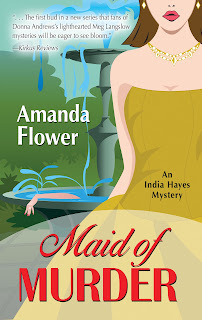 To learn more about Amanda and Maid of Murder visit her online at http://www.amandaflower.com/. You can also follow Amanda on Facebook and The Little Blog of Murder. Those are great tips, India. 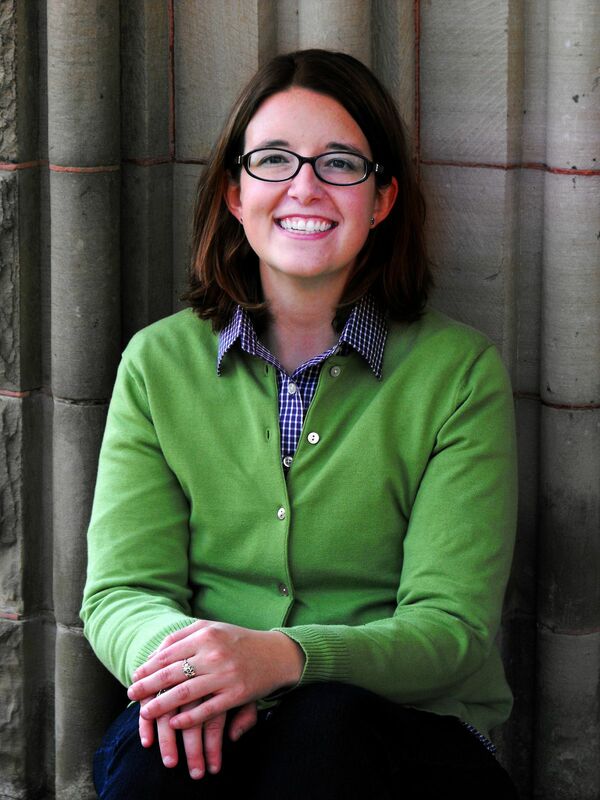 Congrats to your author on her Agatha nomination. Eeek! What if other faculty members have murder weapons up their sleeves! My advice? Stay away from professors who clank when they walk. I'm taking notes. I have a high school graduation to go to in a month... I might need to get an I phone before then! This is India. I've taken over Amanda's Google profile... again. Please don't tell her. She finds it annoying! Thanks Killer Characters for letting me stop by today! Happy Easter to you all! @Dru Thanks so much. Who knew that would happen to me? Both Amanda and I are floored and so, so grateful! @Janet Very good advice! I only have a Master's robe. The doctoral ones are even roomier. Who knows what they can stash under them! @Heather I highly recommend the iPhone or some type of smartphone. It's your best chance of survival. Just remember to turn off the sound...;) Thank too Heather for letting me stop by! !